A decade after the most devastating financial meltdown in generations, the global economy appears to be in good shape. 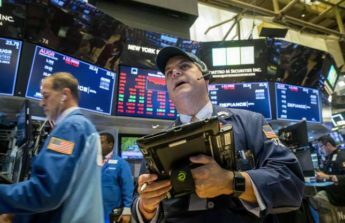 Yet some analysts have warned a crash could be on the horizon, blaming everything from rising interest rates and increasing oil prices to the US-China trade dispute. Thankfully, other experts are more positive. We take a look at both sides of the coin. 2. Saturn and Jupiter Conjunction in any Sign brings a big change for the Global events , being the 9th and the 10th Lord of the Natural Zodiac and for any event the Double Transit of these 2 are most essential. 8. Jupiter Fallen and Retrograde in Scorpio sign from the 24th April to 11th August 2019 and then Stationary for 4 days and then becoming Direct and joining back in Sagitarius . The Planetary positions become most Venomous from the 5th April to 27th April and then from the 7th May 2019, The Eclipses will add fuel to the fire and There could be untoward happenings also apart from the Global Meltdown. Terrorism as already Predicted a similar happening on the cards like the 11th Sept. 2001 cannot be ruled out . India could be having Trouble from the Neighbors and this parameter is crucail this year also .